I only know Zvezdas siege machines. Someone else know different ones? Maybe Valdemar will produce some, at someday? 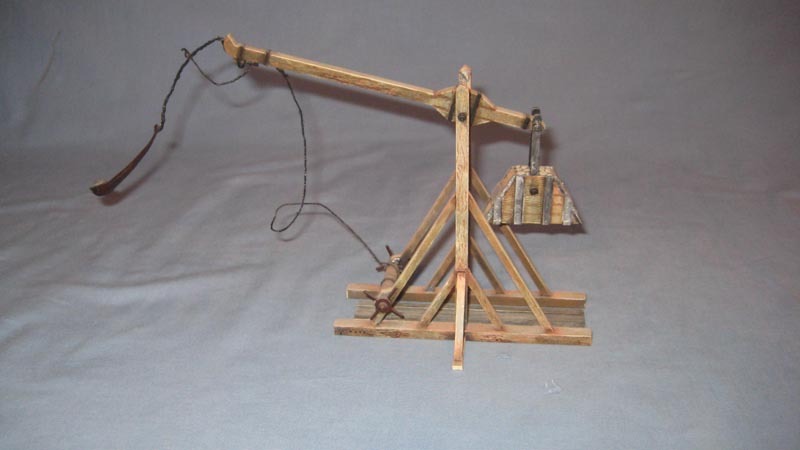 They have a Trebuche kit to. Although now crew. LW Not so good but they have some. Orian kit seams good whit the drill. It´s a pity that most of the manufacturers produce low quality figs :-(, but luckily there is PSR that saved me a lot of money! In my opinion Zvezda, Italeri and (of course) Valdemar Miniatures are the only really usable manufacturers! Revell? Michel has also made great use of all makers of Medieval figures. Yes, I forgot Revell and Emhar... and maybe some others, but there are too much manufacturers that produce no very good figures... and as Zvezda, Valdemar, Itlaeri... show, it is possible to produce good figs! i painted a time ago. Nice, does the set include figures ? Think that some of the figures from VA102 ship crew can be used? Dont know cant find the ship crew picture. The VA123 Catapult with Crew would fit. 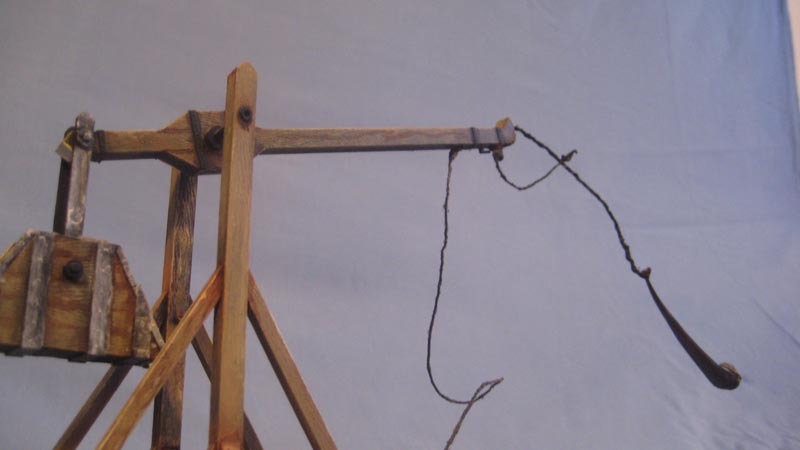 It's 13mm up to the middle of the winch on the Trebuchet . Althought the Medieval Builders would make a nice diorama struggling to bring it up!